Had it not been for Harvey Weinstein the biggest controversy at this year’s Cannes Film Festival might have been the red carpet selfie ban. 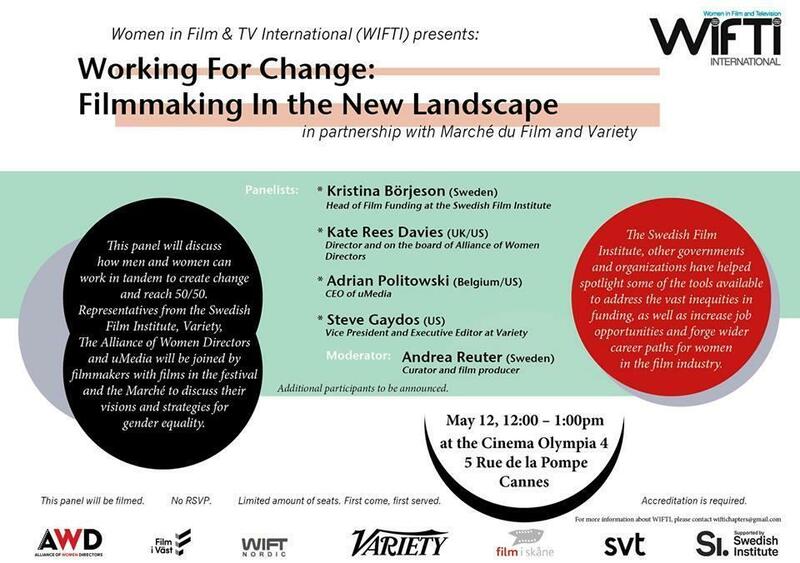 “Thank you Harvey [Weinstein] and Kevin [Spacey]; you helped women find their voice,” declared director Kate Rees Davies at the opening of the Women in Film & Television International (WIFTI) panel on 12 May, in what was probably the only “thank you” the disgraced producer got in Canes this year. The treatment, payment, hiring and position of women behind and in front of the camera was the biggest topic at this year’s festival, at least once discussions about Netflix’s no-show receded. There was a heavy Swedish presence at the panel, moderated by Swedish producer Andrea Reuter, with Sweden famously not afraid to lecture the rest of the world on what it is doing to right all gender wrongs. Swedish Film Institute’s Head of Film Funding Kristina Börjeson talked about the 50/50 by 2020 scheme and under the terms of the new Film Agreement, funding for films helped push the 60-40 inequality (“I don’t need to tell you in whose favour,”) to 50-50, which was achieved in the last three years. Politowski then talked about how his company uMedia practices what he preaches, through the parity of having a female co-CEO and wanting a diverse organisation by implementing the Rooney Rule. This is a National Football League initiative in the United States where it was discovered that black head coaches were more likely to be fired and only represented 6% of coaches for major league teams, despite black players representing a much higher percentage. Under the Rooney Rule at least one person of ethnic minority had to be interviewed for a coaching position, with the result that representation went up from 6% to 22% in just three years. The focus then switched to Europe and Italy, where it was pointed out that actors like Asia Argent that have spoken out have not been well treated by the press. The panel’s unofficial fifth member from Italy (a man) offered a defence that “Asia is doing an incredible job; she is doing amazing work; but nemo propheta in patria,” (i.e. no one is a prophet in their own land) – something which strangely doesn’t seem to have been a case with #MeToo in other countires. Gaydos had earlier joked that 70% of #MeToo alleged perpetrators were from New York and hence it wasn’t so much an issue in Hollywood. Kissy Dugan of WIFTI’s new Italian chapter pointed out that while the country might not be the worst when it comes to gender issues in film and cinema, 79% of films made in the last five years were directed by men and 80% of funding went to them. Börjeson then explained the Green Card training scheme; a one-day training in “Norm Creativity” or gender equality that that the Swedish Film Institute imposed in order to receive public support. (She did not, however, mention that SFI switched back to this scheme being non-compulsory after a backlash that it was seen to be imposing “moral and ideological education on production companies” according to Eva Hamilton, head of the Swedish Producers Association). Further initiatives were then highlighted, including proposals in the UK to tax the tax relief on film and television production to equality. The example of Cannes jury member Ava DuVernay hiring a female director for her television project “Queen Sugar” and Hulu having female directors for 10 out of 12 episodes of “The Handmaid’s Tale.” Yet of over 1,300 female members of the Directors Guild of Ameria (DGA) 70% have not worked in over a year. There was also a call for 50/50 gender balance below the line. During the 71st Cannes Film Festival 82 femail filmmakers and actresses walked the red carpet as a group, which represented the female filmmakers whose work has been selected to compete at the festival in its seven decade history. The role of film festivals was also highlighted. While there were more women on the jury and amongst the film in competition at this year’s Cannes Film Festival, this still fell short of reaching a significant number. It was also pointed out that Cannes, Berlin and most other major festivals were run by men. This festival imbalance was made manifest a few days later when 82 women walked the red carpet in protest at the few women in the 71-year old festival’s history that have been nominated for films they directed. 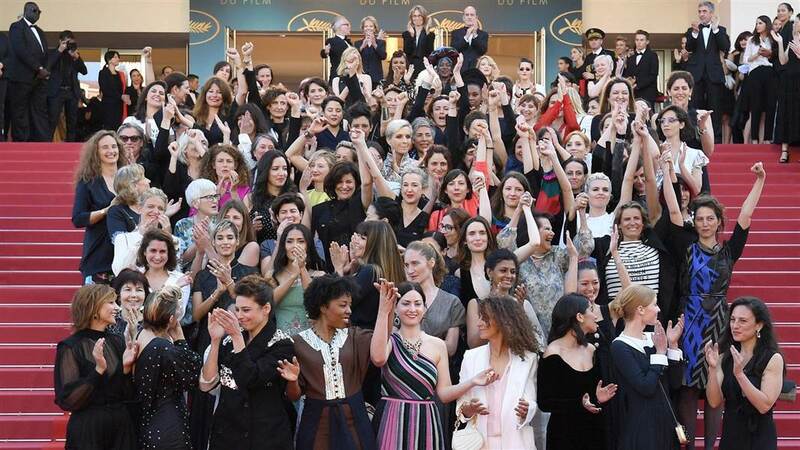 We are 82 women, representing the number of female directors who have climbed these stairs since the first edition of the Cannes film festival in 1946. In the same period, 1,688 male directors have climbed these very same stairs. The prestigious Palme d’Or has been bestowed upon 71 male directors, too numerous to mention by name, but only two female directors. While the Cannes film festival may not have been prepared to invite day-and-date film releasers like Netflix back, it felt the need to move with the times in terms of gender issues. That is why Cannes director Thierry Fremaux signed a gender equality pledge, which promises that the film selection process will be more transparent and that the executive boards will strive for gender parity in the near future. Yet while the top-down efforts in Cannes for gender equality were important and a starting point for the industry to grapple with the issue in its Year Zero, it was equally encouraging to see small grass roots efforts take hold around the world. At the American Pavilion anyone wishing to obtain accreditation for entry had to sign an anti-sexual harassment pledge. 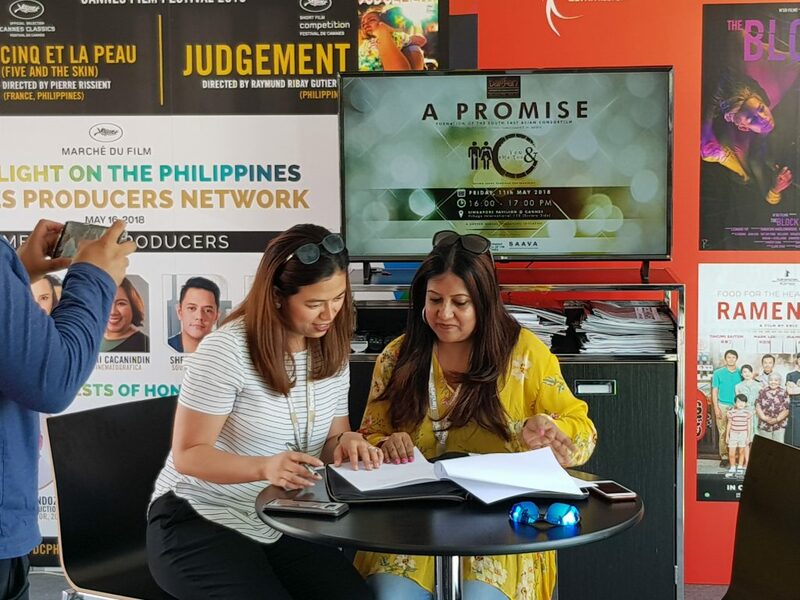 In the Singapore Pavilion, away from the red carpet and spotlight, a memorandum of understanding (MOU) regarding sexual harassment in the Asian media industry was signed on 11 May between Darpan Global and the Film Development Corporation of the Philippines under the auspices of the Southeast Asian Audio-Visual Association (SAAVA).